PTFE hose has such a wide variety of application that the world without these hoses would be hard to imagine. 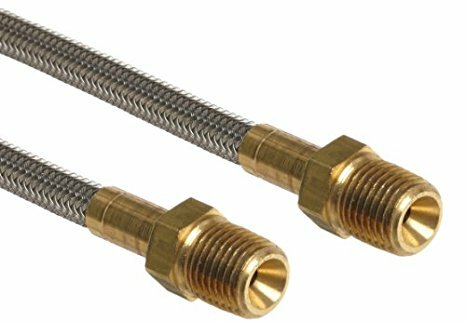 This hose is particularly characterized by excellent chemical and thermal properties. 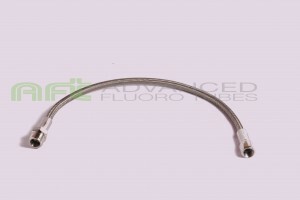 PTFE Hose can generally be used in temperature from -60ºc to +260ºc. Internal layer is a seamless extruded premium grade of PTFE that ensures minimal porosity, maximum flexibility and high resistance to vibration. Braid is manufactured from grade AISI 304 high tensile stainless steel wire. The hose is available as standard wall or heavy wall and with a single or double braid versions. Heavy wall version is advisable for heavy –duty conditions, gases (150 bar) and applications with constant temperature changes. Double braid version is meant for use with high working pressure and in applications where the hose is subjected to constant kinking and bending.